Many of you will know artist Yinka Shonibare MBE for his 2004 Turner Prize film A Masked Ball, or perhaps his Nelson's Ship in a Bottle, which graced the Fourth Plinth in Trafalgar Square in 2010. 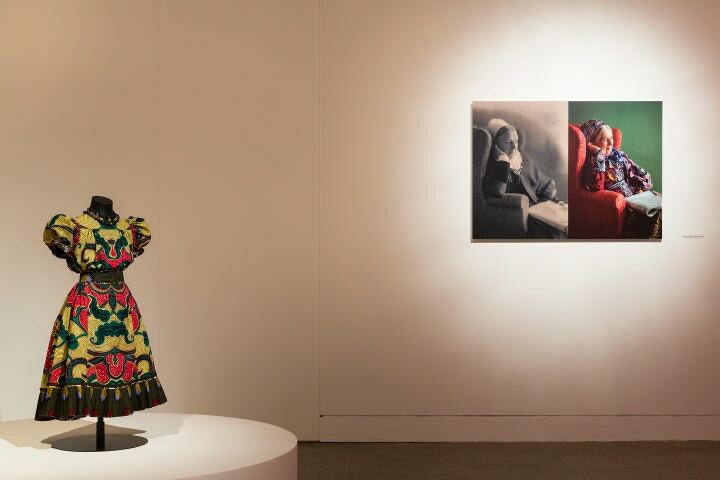 A scupltor of the YBA generation, his work explores cultural identity, post-colonialism and, let's face it, the brightly coloured costumes of historical pasts. 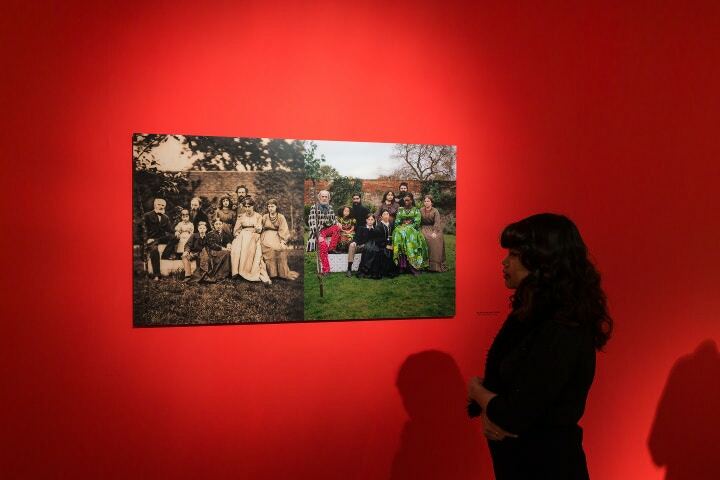 Shonibare's show, The William Morris Family Album, is exhibited at The William Morris Gallery in June 2015. An artist who is continually inspired by the Victorian era and textiles trade, this photographic exhibition fits with Shonibare's most inherent themes, as he asks viewers to reflect on the equality - or perhaps inequality - of both then and now. Hello Yinka! Tell us: what can people expect to find at The William Morris Family album? I have recreated three of William Morris' family photographs using people from the local Walthamstow community. Some of the participants are dressed in costumes resonant of the period and some are dressed in my costumes. Three of my costumes that the participants wore are also on display in the gallery. What inspired you to make work based around William Morris himself? I share the same love of textiles as William Morris so there was a natural comparison there. William Morris was also against the alienation created by the Victorian Industrial period, and he liked the notion of society and community. 19th Century Walthamstow - when William Morris first lived in the house - was very different to now, so the photographs are reflective of the diversity of the Walthamstow area today. I wanted to capture Morris' sense of community by involving people from the local area. I’ve heard your relationship with the Victoria era described as a “love-hate relationship.” Would you say this is true? And if so, why? Not only do I live in the UK but I also have a colonial relationship to the UK, so cannot escape the Victorian influences. When I started out as an artist I hated it but then I tried to understand it and use it in my work, so my costume designs are influenced by the Victorian period. What was it like working with local residents from Waltham Forest? I would usually work with actors as the subjects in my photographs, so to work with members of the community was a completely new experience. All the participants were very engaged in the whole process so the project was very rewarding and everyone involved was very professional. Do you think the injection of colour into the newer photographs was an important change? It mimics your regular use of brightly coloured fabrics. The Morris photographs were taken before the invention of colour photography so it was natural for a modern day interpretation to be in colour. I also did not want to make exact copies of the Morris photographs so these photographs are my interpretation of them. I wanted some of the participants' costumes to be made of Dutch wax batik fabric which is signatory of my work.